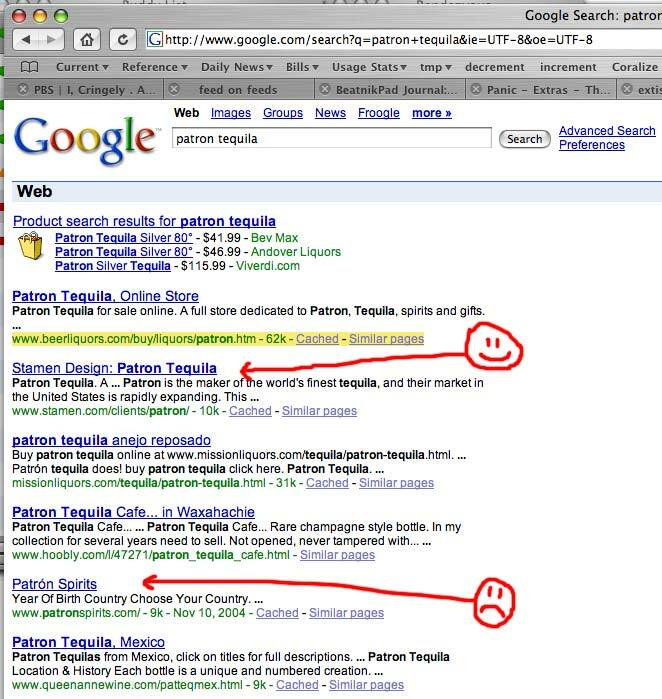 So, we've been working on a new website for Patron Tequila (with local design agency Gershoni for some time - the initial soft launch was last week, and we're polishing off some final elements this week. If that weren't enough, we also received a phone call from a bar owner in New Orleans who was hoping to deal with some interruptions in his tequila shipments. Could we put him in touch with marketing? How did he find us? Google, of course.